It's not easy when you can't see the interior, feel the fabric, or appreciate the workmanship as a whole (which together amount to the best way to find fantastic vintage when it's right under your nose). However, there are some tactics an online shopper can deploy to cut through the middling pieces on the vast virtual rail. One is to search using keywords that point directly to clothes that were made with great care. Example. 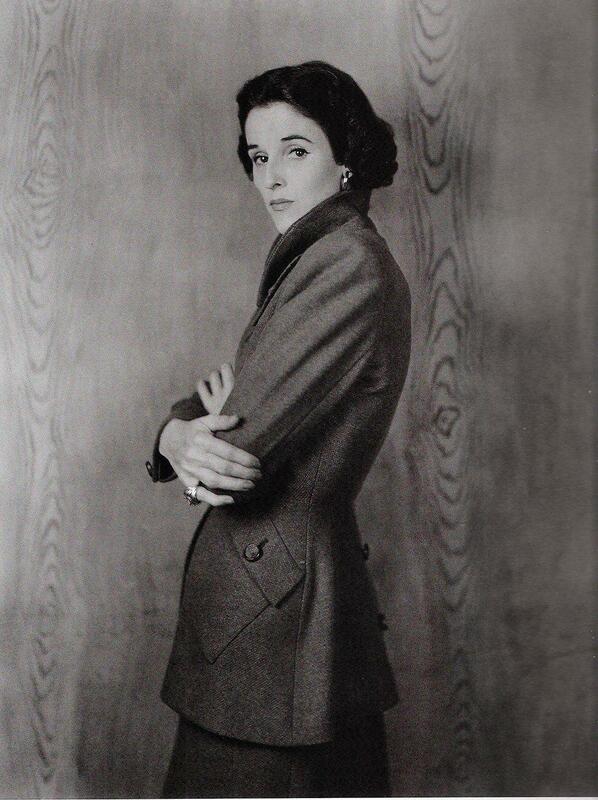 Have a look at socialite Babe Paley's jacket above. It's by London couturier Digby Morton, 1946. Might such an item ever appear on eBay or Etsy? Possibly. But if you keyword "couture" to find it, you'll call up a warehouse worth of dodgy merchandise, from pantihose to pet collars, that have nothing to do with finely tailored clothing. Instead of going for the obvious, you need to think sideways. Like . . . look at the flapped pocket on Babe's jacket. How it's placed, sitting almost horizontal to the waistline. This is a couture detail: in which the ordinary is tweaked into extraordinary because there's the design inspiration, sewing talent, time, and above all, money to do so. This pocket is quietly dramatic, everything a couture detail ought to be. Bing! 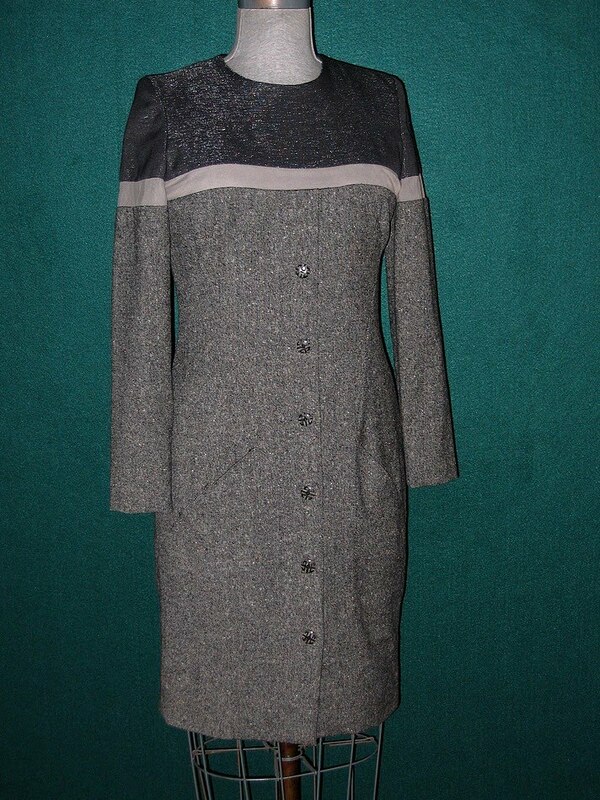 I jumped onto eBay and keyworded "diagonal pocket" and "vintage", just to see what would come up. 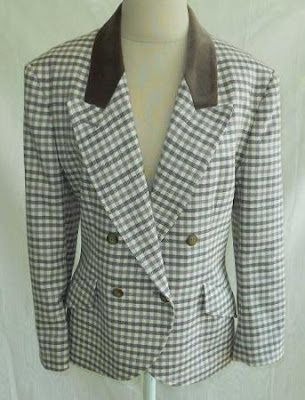 Result: nothing ultra-extraordinary, but two things really quite nice indeed, the old-school plaid hacking jacket below from Jaeger, which is a great autumn piece for somebody looking to look poshly countrified. Even more interesting, the highly tailored cocktail dress from Givenchy, labeled couture (almost certainly not haute couture, which would have been hand tailored for an individual, but high-end ready to wear. I'm guessing it dates to the late 80s, in the twilight years before Galliano, McQueen, and Tisci were brought in to revivify the brand). The dress looks quiet in the photo but I bet is absolutely the bomb when it's on the right figure, dressed up Parisian style with sheer black stockings and very high stilettos. The point? It's the details that count, again and again. I never would have found these two items without the help of just the right keywords. We'll look at some others as the week goes on. A Day at the Races: But which Hat? Crime Against Caninity or . . .
What's Black and White and Cool All Over?